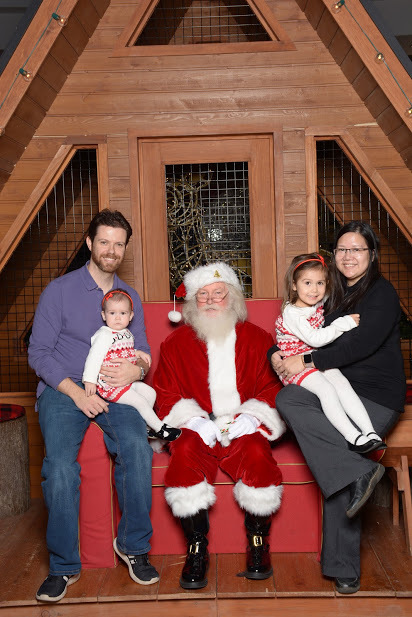 Merry Christmas from Dave, Dee, Cassandra and Samantha! Once again we find ourselves in awe of how quickly a year can go by and in a few short weeks’ time, we say farewell to 2018! Smith Family Life & Events! 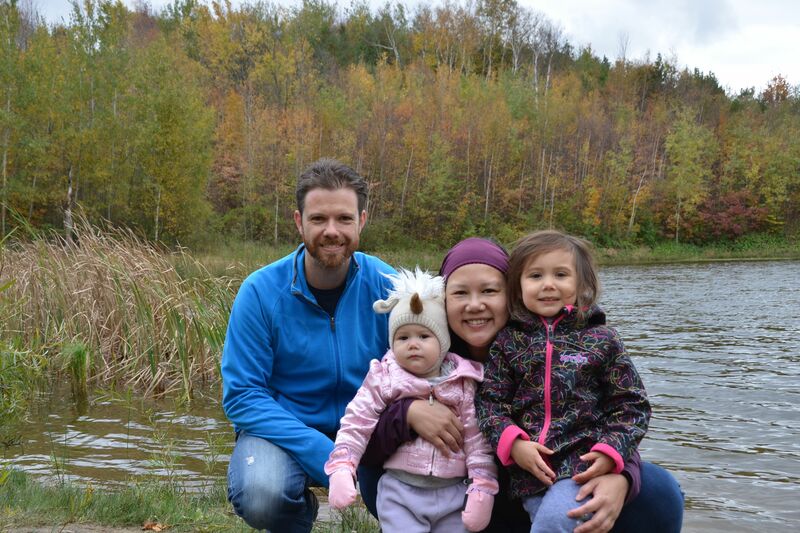 Dee was happy to spend 2/3 of the past year on maternity leave, taking care of the kids and enjoying being a mom. As much as parenting two children is fun, whenever Dee could manage to get both children to nap simultaneously were definitely some of the best days. Baby, now toddler, Samantha kept her early babyhood sunny disposition and is still full of smiles and laughter. 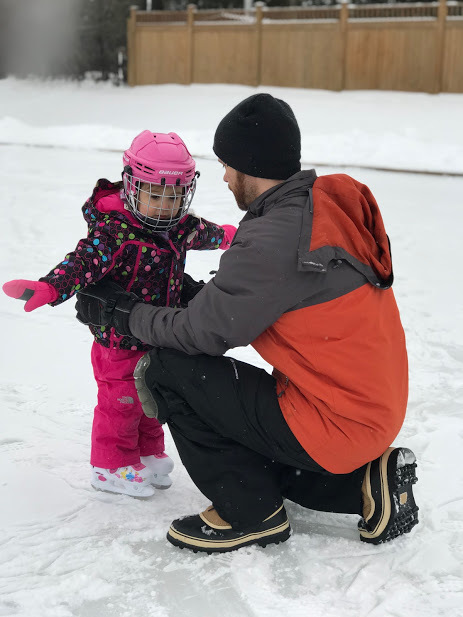 She learned to pull herself around the playroom at just over 4 months and began to walk at the 1 year mark. 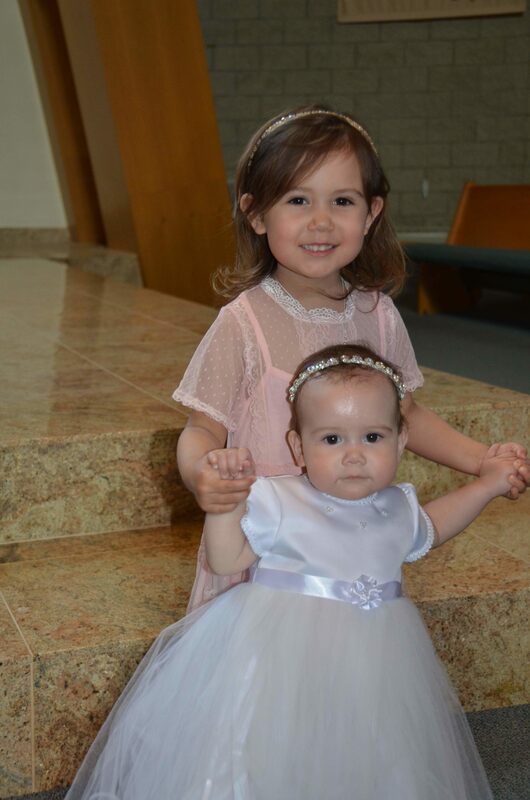 She was baptized in July at St. Jerome’s Catholic Church by Father Jan Kolodynski. 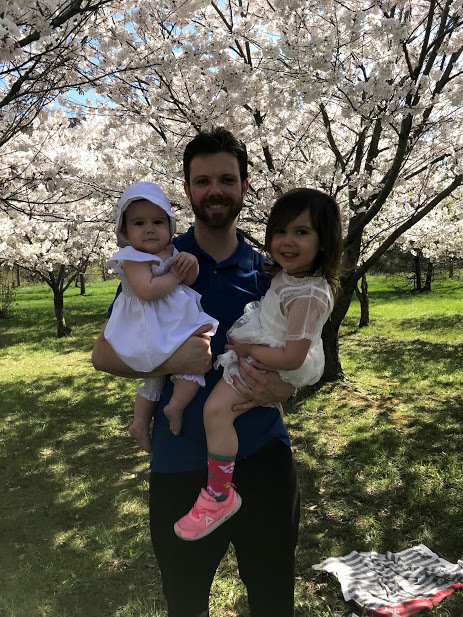 We are blessed to have wonderful people in our lives to help us out, and, to be great God Parents: Amanda Jean Davison, and Marco & Connie De La Cruz. 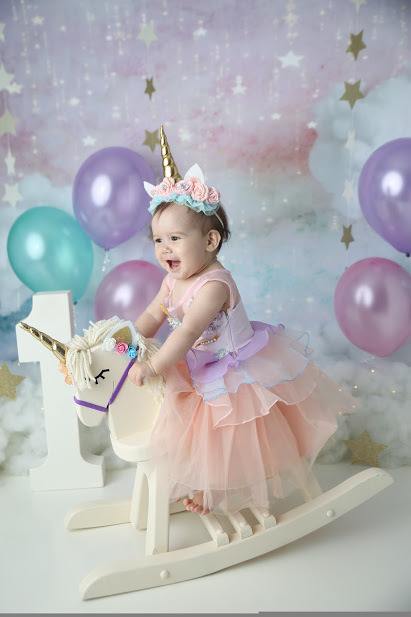 Her first birthday party was a wonderful celebration with family and friends, and a unicorn theme. Her favourite activities currently include rocking like a crazy person, splashing in water manically, and running away once she sees a parent with a sleep sack. 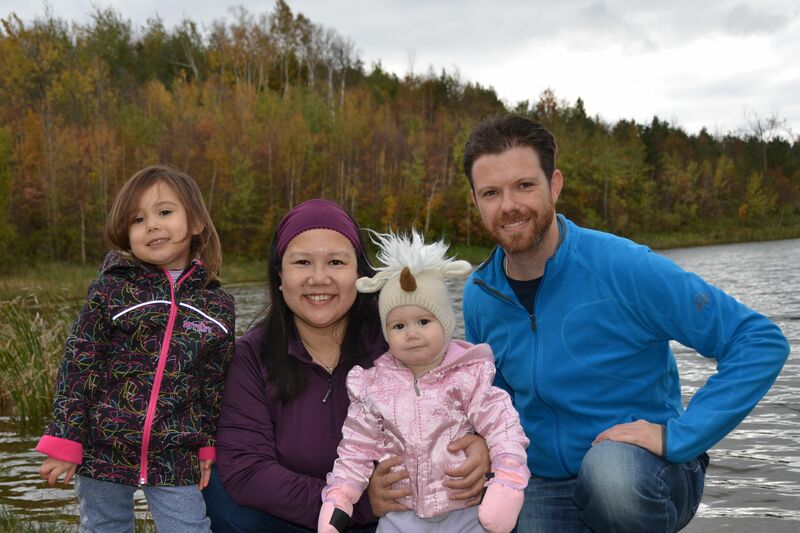 Cassandra had loads of fun with both of her parents home for most of the year working on loads of crafts, going to classes for music, gymnastics, and kung fu! An early speaker, Cassandra as a three-nager is also an early negotiator and keeps her parents on their toes. She loves crafts, dancing and singing and can often be found holding a book, singing into her play mop stand pretending it’s her microphone. When asked what she wants to be when she grows up, she’s not sure, but has decided her first job is to become an Altar Server. The sisters have fun together, at first Samantha mostly lay/sat in various things being entertained by her sister. Now, they play and dance together and Samantha strives to copy her big sister at anything she can. 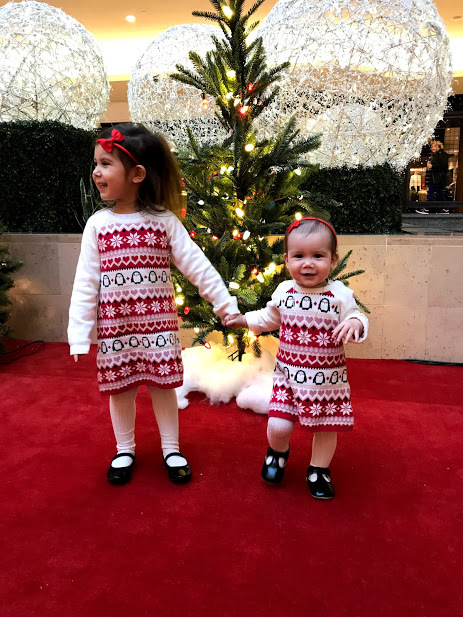 It’s amazing to see their relationship progress, and endearing to hear Samantha call Cassandra by her baby nickname (Bo Bo) and see Cassandra protect and instruct her sister. Their regular giggle fits, and raspberry contests in the back seat of the car on our drives are quite hilarious. Cassandra started school in September and is really enjoying her Junior Kindergarten class. 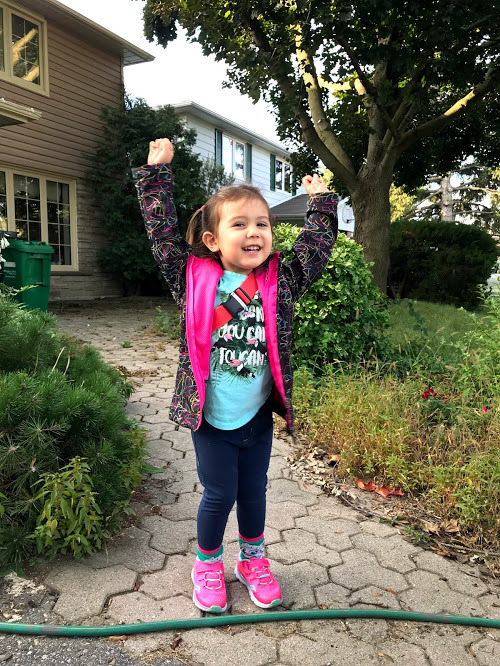 It was a big adjustment going from no school to school 5 days at week 8:30 – 3 every day, but she’s done it quite well. She still naps most days after getting home, but this works out well to be able to spend more time in the evening with the family. She does miss her other activities (especially some of the other kids and teachers, and is jealous when she hears her sister doing these things), but we try to get her in a class here and there to see them. 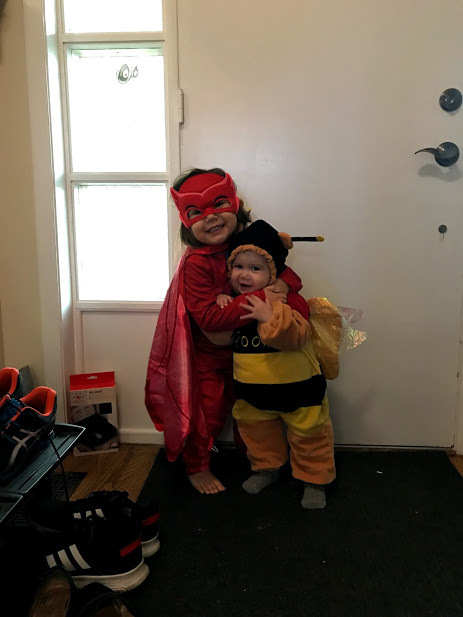 She seems to have settled in well with a few close friends, and also seems to have a boyfriend or two….which the teacher has assured us is a totally normal kindergarten thing. Our extended family has grown, in August Dee’s brother Ryan and wife, May, happily welcomed baby Edison Stanley Chong into the world. His super chunky cheeks just make his Auntie Dee melt! 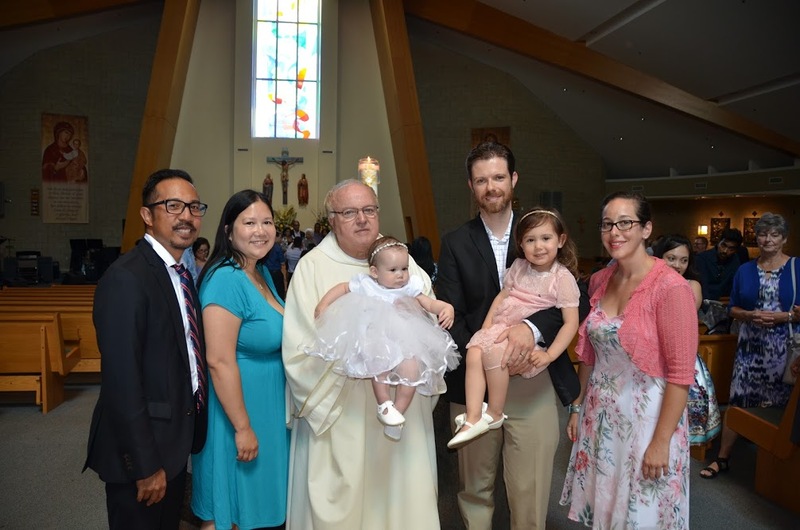 In August we were also blessed, and thankful, to be invited to be God-parents to Mercedes Hope De la Cruz. We’ve now been in the “new” house for about 16 months – and it’s been really nice getting to know the neighbourhood. We’re blessed with nice neighbours, the park behind us is great, and the commute to Cassandra’s school is only a couple minutes of walking. We’re actually so close that some parents park in front of our house to then walk their kids into to school! We still haven’t finished renovations, or even unpacking everything we brought with us, or getting to painting a few rooms….but, all in good time. Hopping in the Leaves in their Sunday Best. Dave has pulled back on his work as a contractor (still mostly for Rona…aka Lowes now!) and is doing more of the very important job of daddy for the girls. 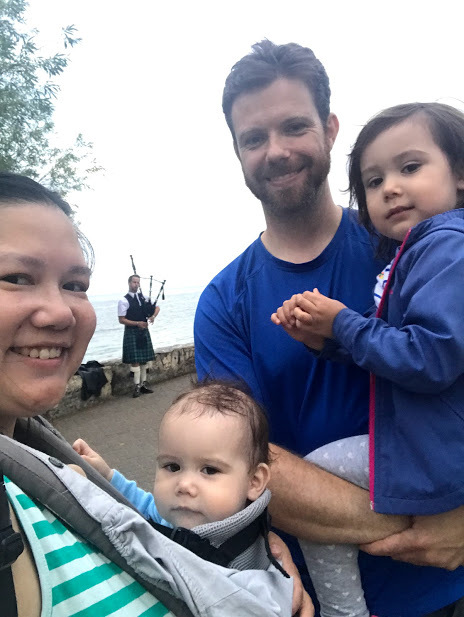 Dee’s still enjoying consulting and went back to work in August after her maternity leave. 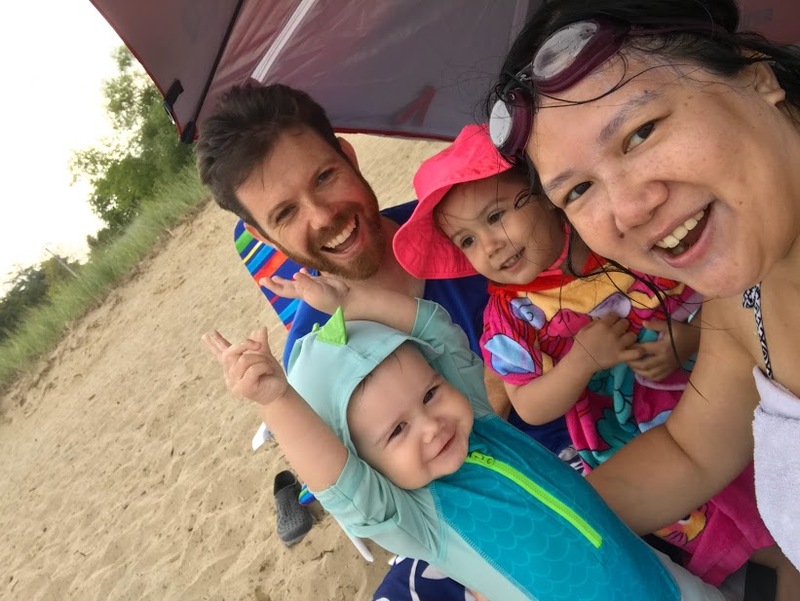 The company is great and allows a lot of flexible scheduling so she works from home quite a lot which is great for being able to pitch in more as a parent. We managed to get a little bit of travel in this year taking a couple of family vacations. We had a lovely few days in Southampton where we went to the beach, listened to the piper at sunset, shopped at the market, enjoyed the pool and relaxed at the Smith Trailer. 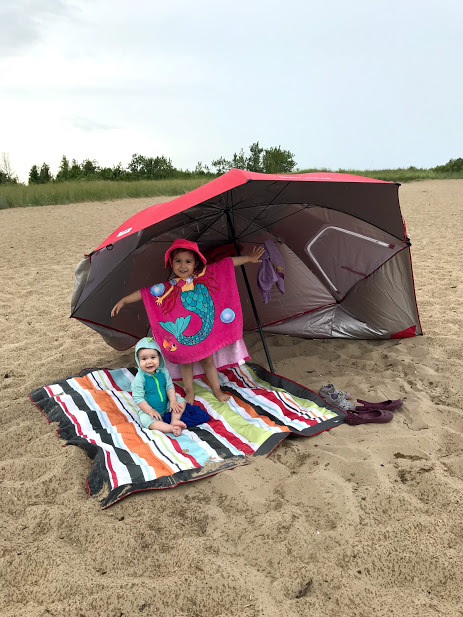 The kids really love the beach! Ottawa in July where we spent a great few days at their new house, and also managed to squeeze in a nice visit with Cousin Amanda and Derek, as well as drop in on Aunt Lynda and Uncle Gord (where luckily Cousin Jenny and kids Ryder and Parker popped by too lucky for us!) on our way back to Brampton. 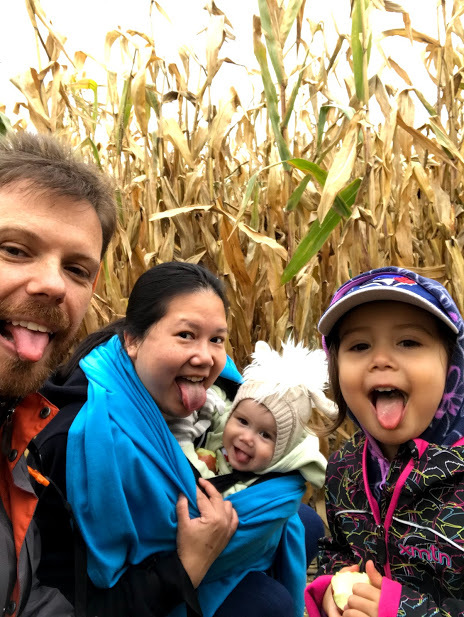 We also managed to fit in lots of trips to the farmer’s market on Saturdays, and trips to farms to pick berries in the spring and apples and pumpkins in the fall. 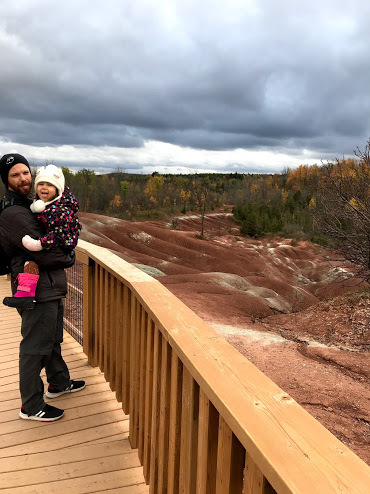 Happily, we also completed our annual fall hike at Forks of the Credit provincial park. 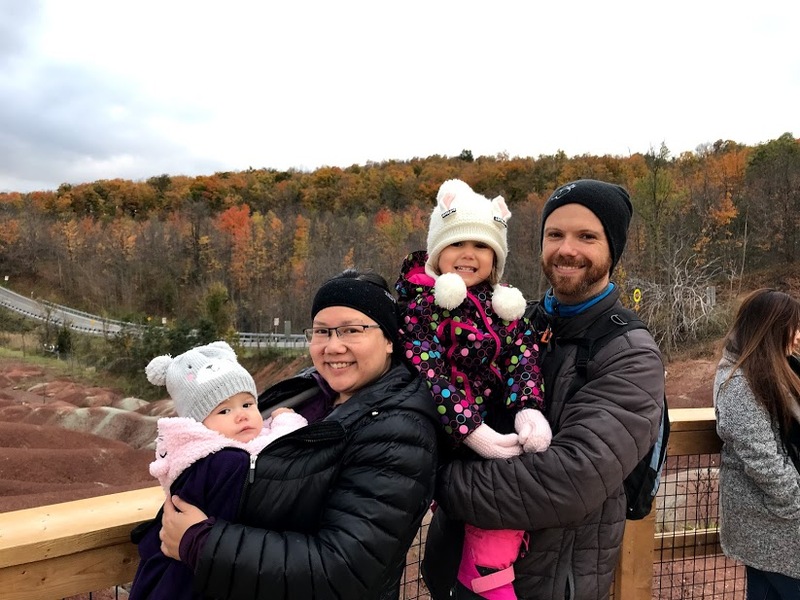 We also spoiled Cassandra a little needlessly taking her to Wonderland with her cousin Isabelle, Centreville (when Rhea and family visited from Ottawa), and the Brampton Fall Fair (with the De La Cruz Family). The kids, and parents, also really enjoyed “The Wiggles” concert this year – and, being extra, Mom even had some matching shirts made up! Looking back on the year, we have also had some loss. Great Papa Blair, having lived 97 years was reunited with Nana Blair in Heaven in January of 2018. 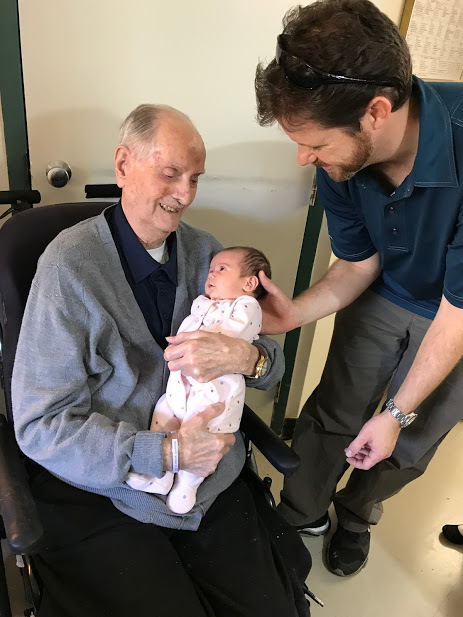 We were very thankful to have managed to vist a few times, and see his joy and holding his newest great-grandchild. Alphie, the last of the rescue litter from their stray mom that Dee took in (or rather, forced her parents to take in) crossed the rainbow bridge. In Summary: we have been very blessed, and have so much to be thankful for! We hope and Pray that you and yours are well! © davidanddee.com | All Rights Reserved | Designed & Maintained by: Christopher Chong Productions Inc.